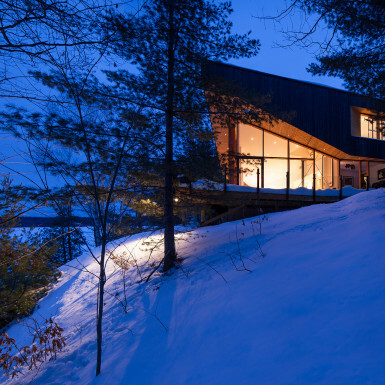 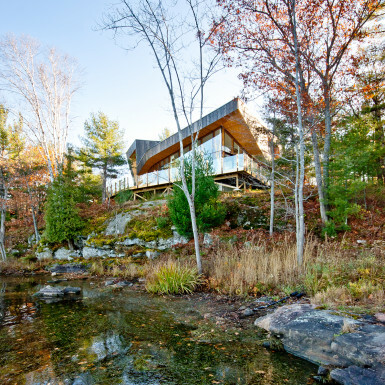 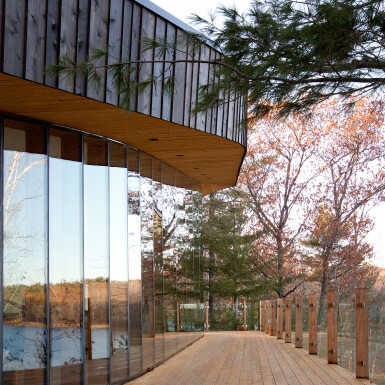 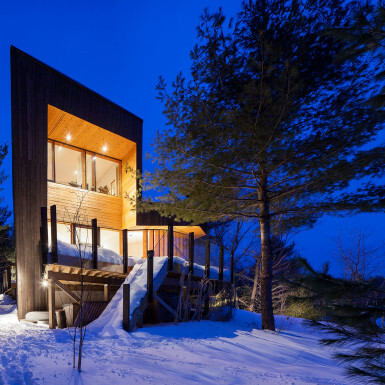 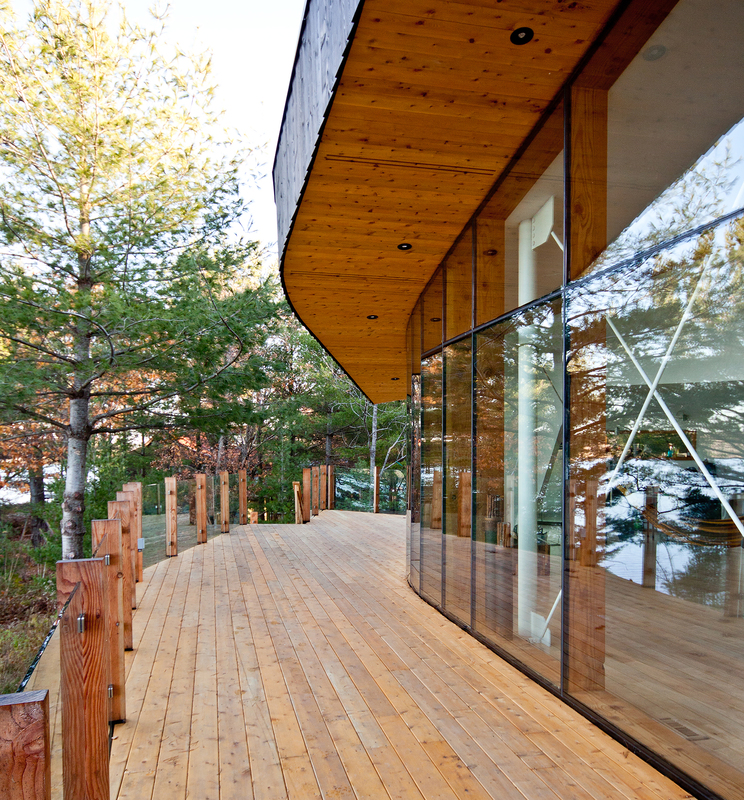 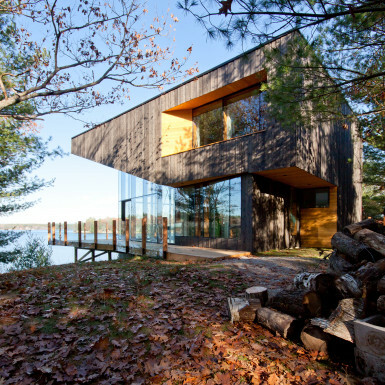 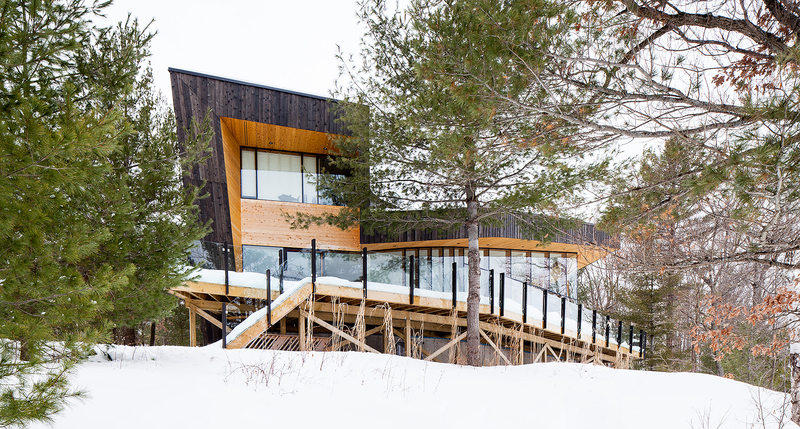 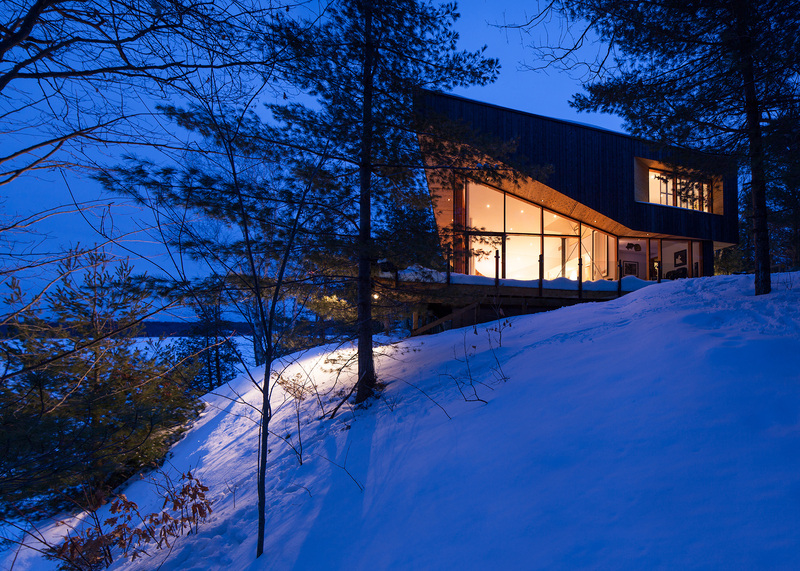 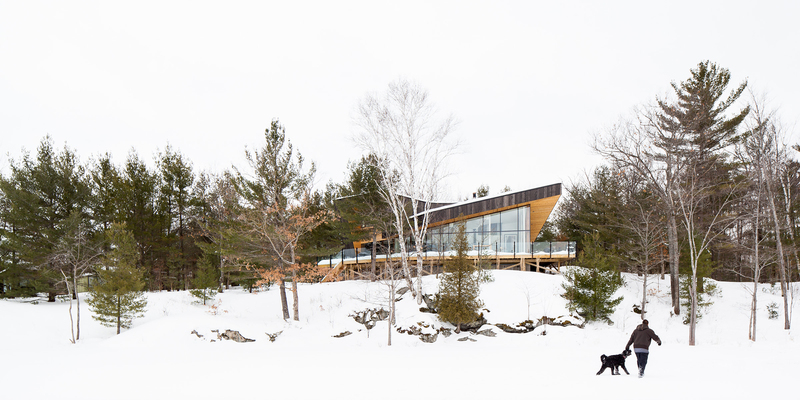 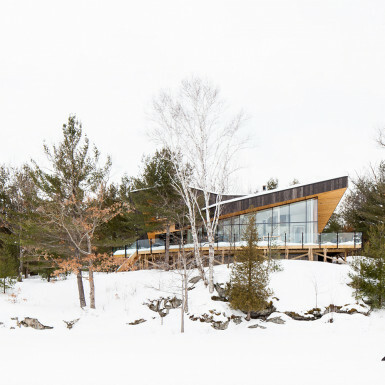 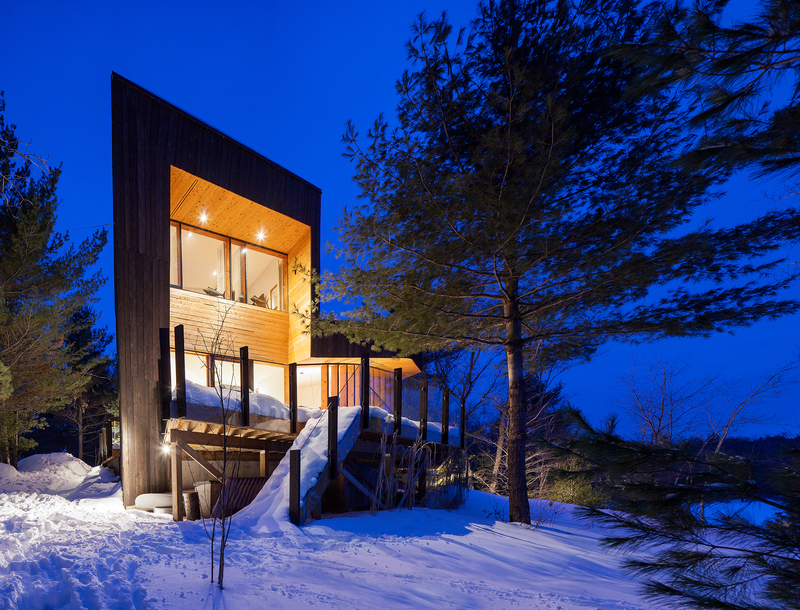 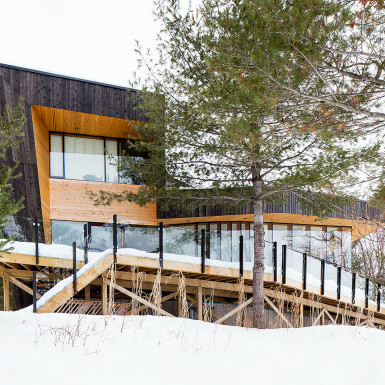 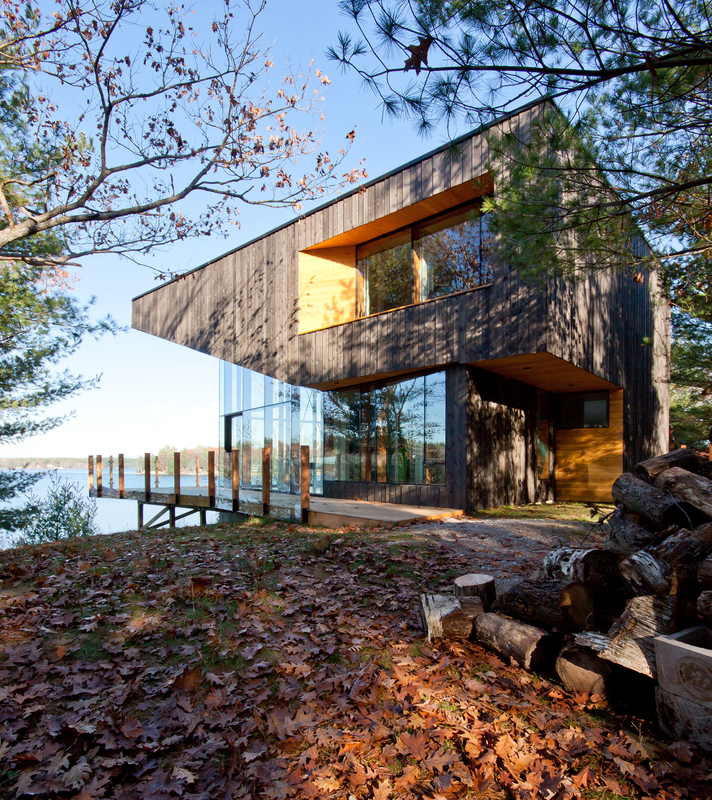 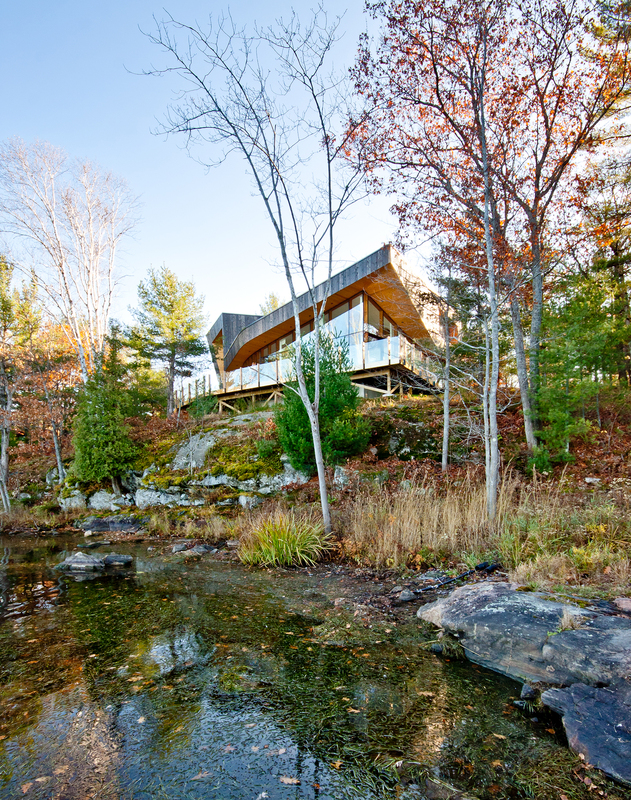 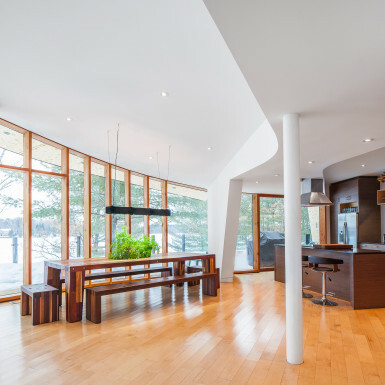 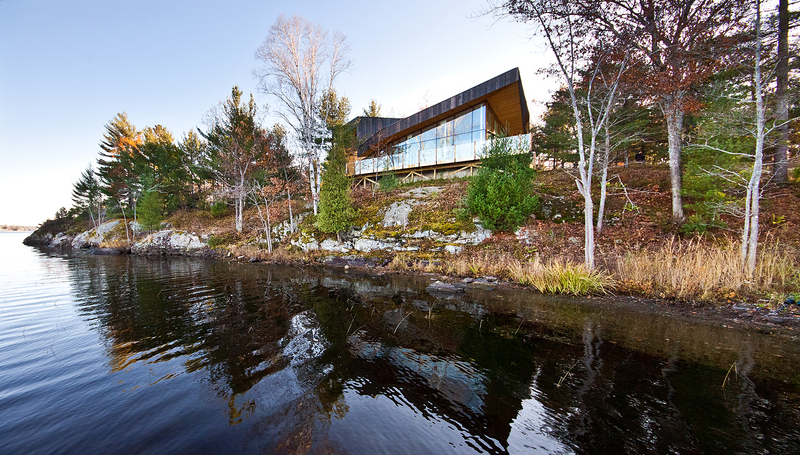 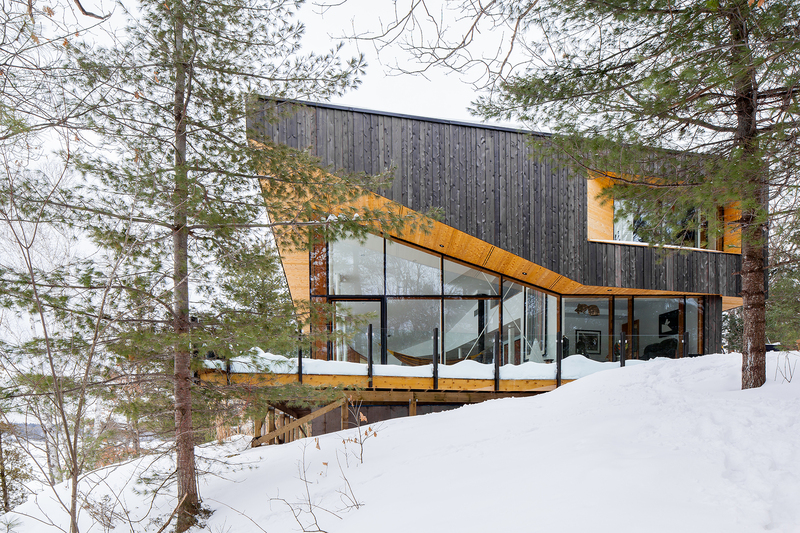 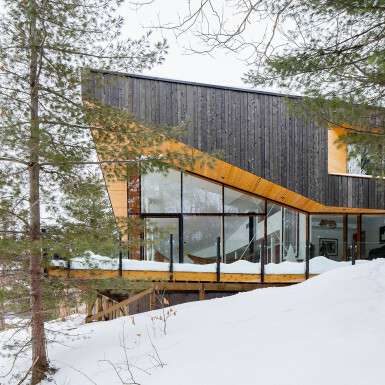 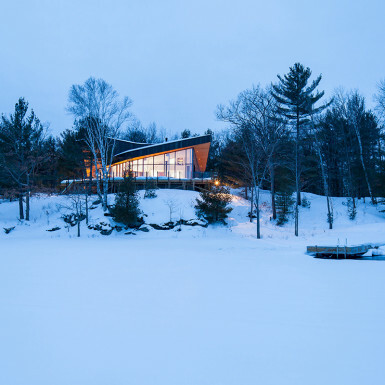 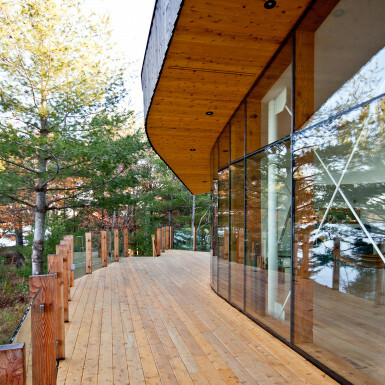 Located on the shores of Sparrow Lake, near Gravenhurst, Ontario, this wood and glass residence captures the striking views of both the lake and the surrounding woods. 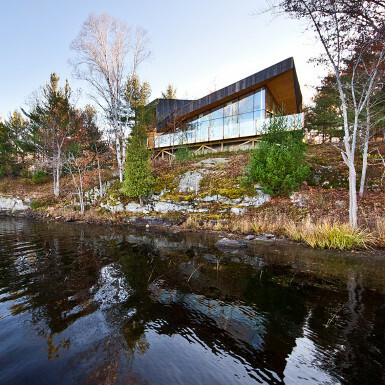 Nestled into the landscape between the rock edge of the lake and the dense surrounding forest, the sculptural form is a dramatic response to the rugged landscape. 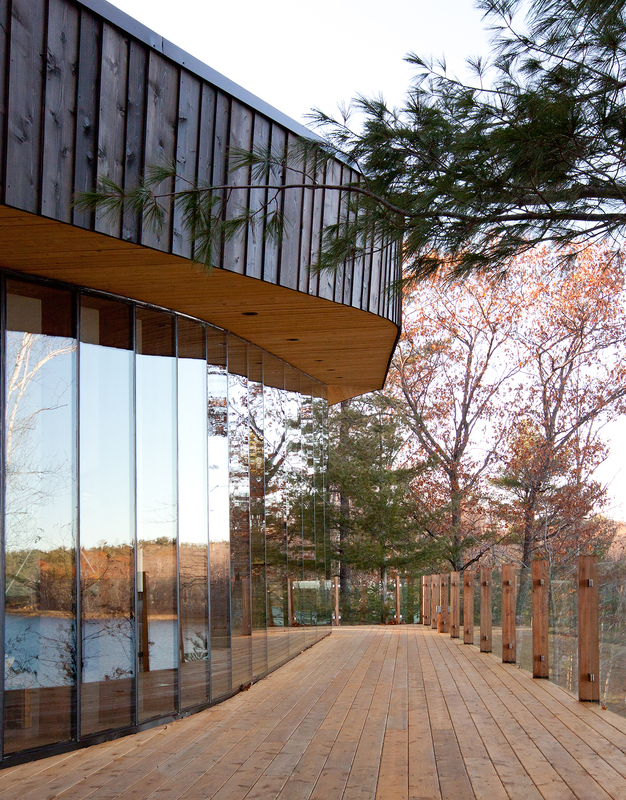 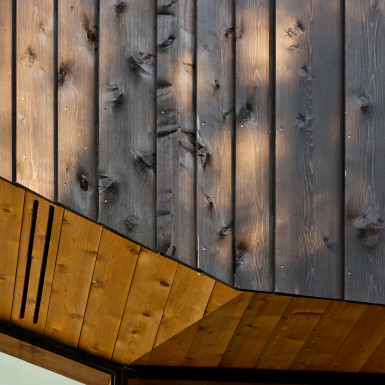 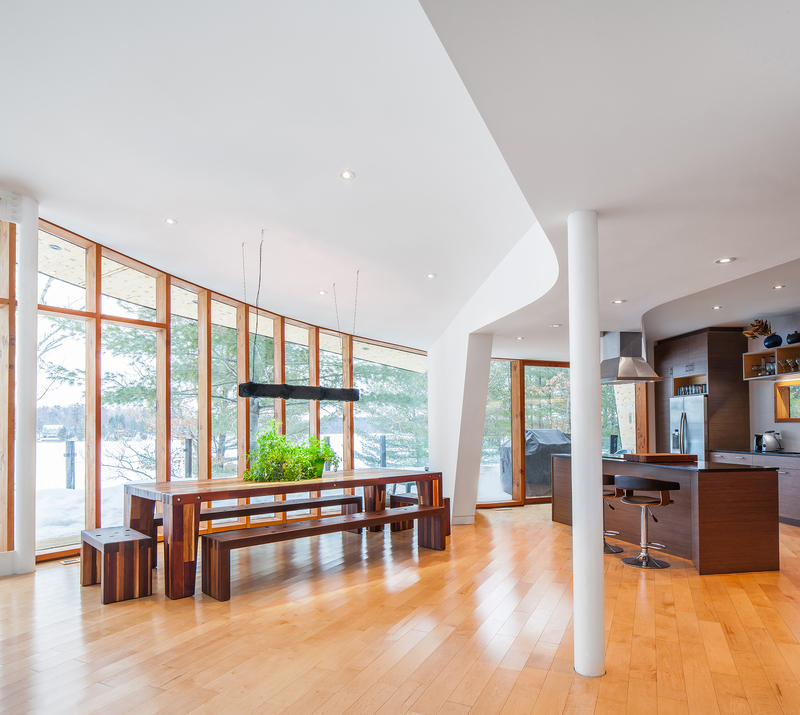 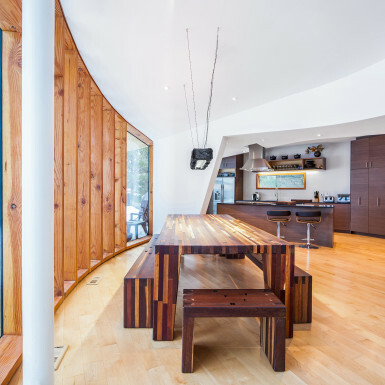 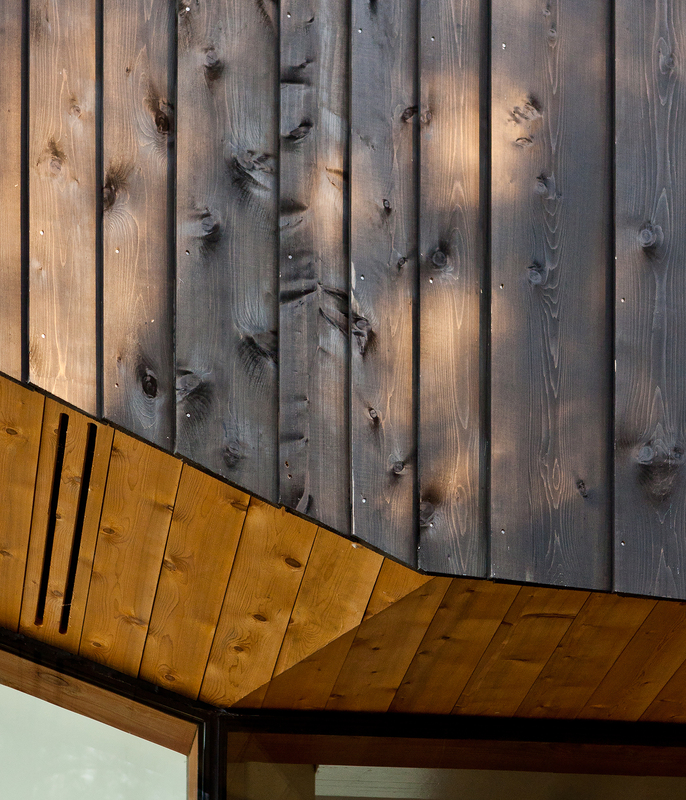 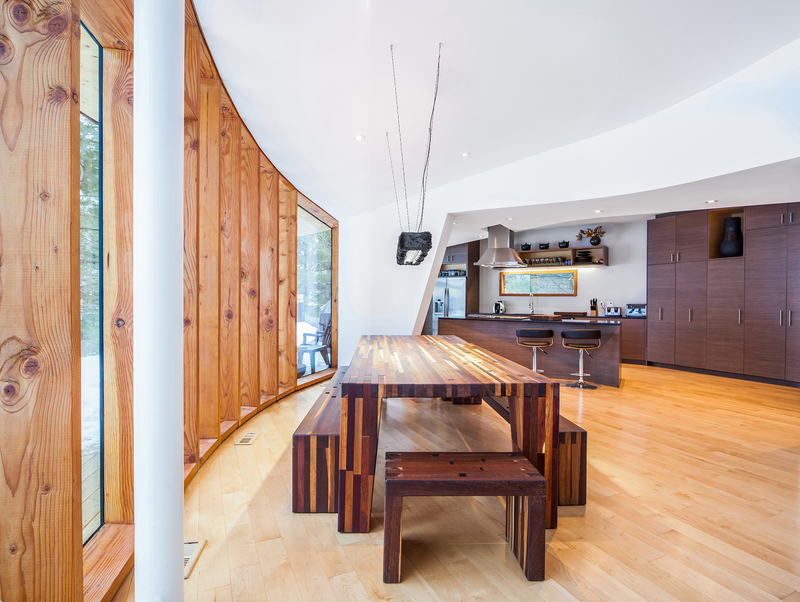 This sustainable project is predominantly composed of local cedar, which was refined at a nearby sawmill.